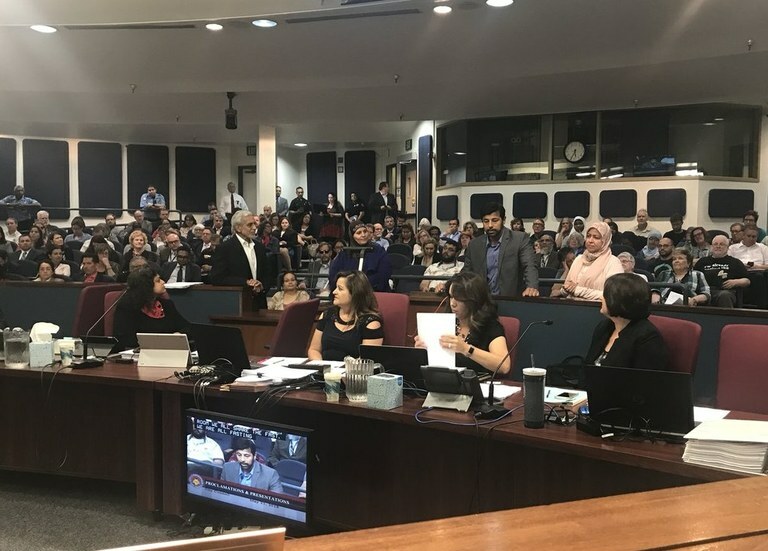 At the May 21, 2018 City Council Meeting, City Councilor Pat Davis read and presented a proclamation to the Islamic Center of New Mexico. The proclamation came during the month of Ramadan. Ramadan is the ninth month of the Islamic calendar and is observed by Muslims worldwide by focusing their minds on prayer, purity, spirituality, and charity while abstaining from both food and water. The first day of Ramadan was May 16th and the last day will be celebrated on June 14th. The local Muslim community, which goes back four generations, contributes to the local economy by serving as business owners, attorneys, accountants, scientists, educators, doctors, nurses, engineers, pharmacists, and members of the Armed Forces. The Islamic Center of New Mexico provides religious, social, and educational services to Muslims in Albuquerque and surrounding communities. The City of Albuquerque thanks the Islamic Center of New Mexico for all of their hard work and dedication to our local Muslim community and community at-large.